Preserving the vast history with the city of Rome has been a large part of city's development decisions in modern times. Traffic congestion and air pollution are major problems in modern Rome. The vibrations from traffic and the pollution are endangering the city's fragile historic sites. Vehicles are now restricted from accessing the historic center during certain times of day and days of the week. APPIA ANTICA PARK. 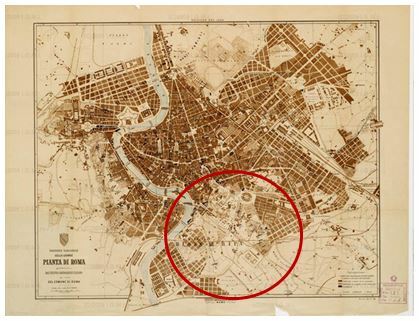 Rome's present day efforts to preserve open space is also a joint project in historic preservation in many areas of the city as well. 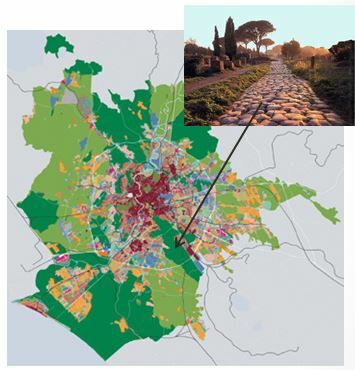 Appia Anitca - the Appian Way road of ancient Rome - was placed under protection in 1988 after citizens and environmentalists fought for its preservation.